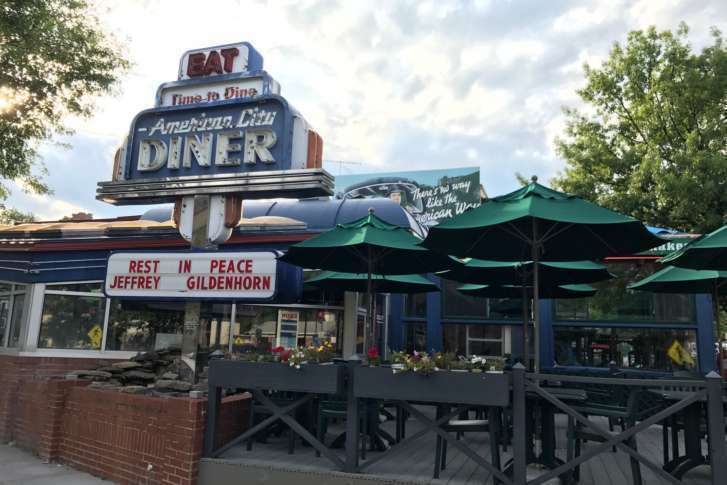 American City Diner, which served up all-day breakfasts and a kitschy atmosphere in D.C.'s Chevy Chase neighborhood for 30 years, has closed its doors. WASHINGTON — American City Diner, which served up all-day breakfasts and a kitschy atmosphere in D.C.’s Chevy Chase neighborhood for 30 years, has closed its doors. The diner announced the sudden closure on its Facebook page over the weekend. Gildenhorn, who opened the diner in the late 1980s, died last summer at age 74 after choking on his food at another D.C. restaurant. The greasy spoon was well known for its classic diner fare, which included fried egg sandwiches, meatloaf dinners, milkshakes and pie, and generous stacks of silver-dollar pancakes. Old-time touches included its Art Deco-style marquee, a model train that wended its way around the diner’s ceiling and its showing of classic movies. Washington Business Journal first reported the sale. WTOP’s Rachel Nania contributed to this report.